So if you never see me again on Twitter. There's your reason. Maybe its time to deep fry that bird? 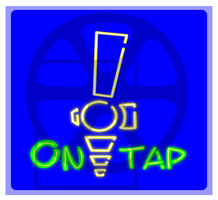 Anyways yeah here's the blue screen version of Neon Lights Pub Tap sign1. Available soon on my personal web site as well.